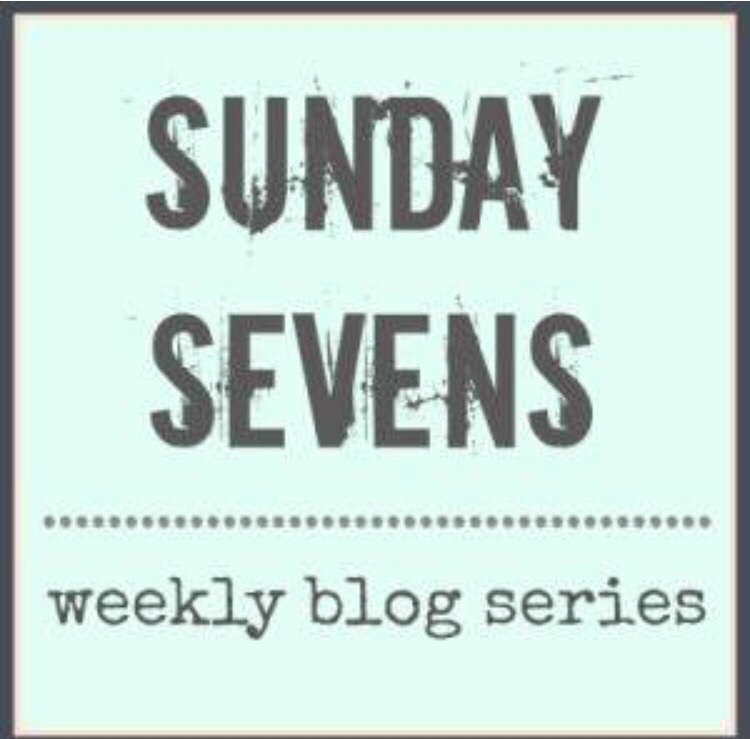 Hello and welcome to another edition of Sunday Sevens. It’s not quite turned out to be the week I expected, plans went out of the window as I nursed a sick child and two sick bunnies… so here are my seven, oh ok, eight photos from the last seven days. The citrus trees in our patio are covered in blossom at the moment. 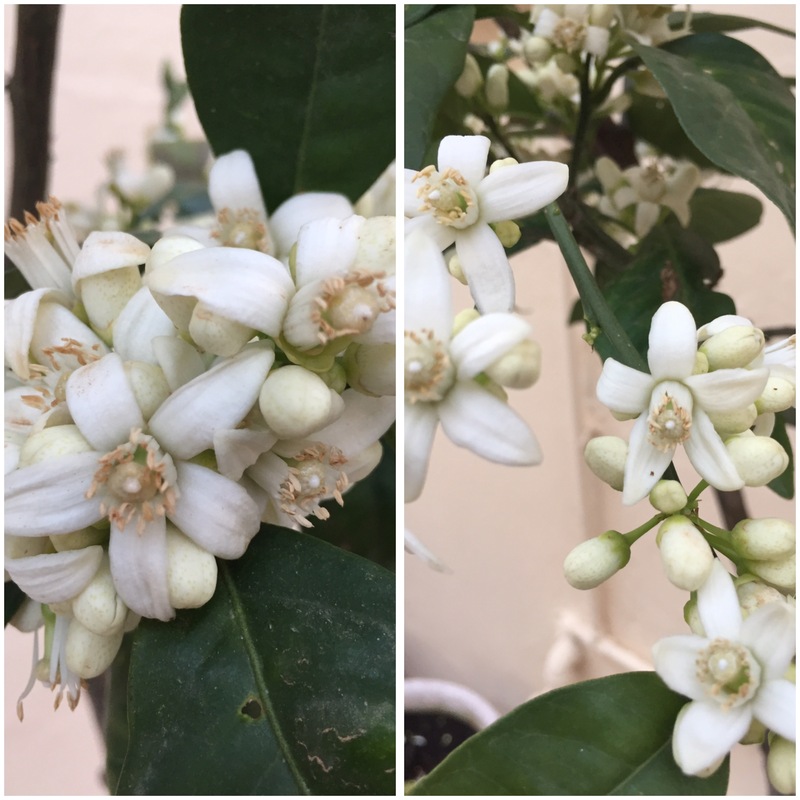 The lemon and orange trees are laden with the beautifully scented flowers. As soon as you head out the door you can smell it. In fact if you bring your nose right up close to the screen you may even be able to smell it it’s so strong! 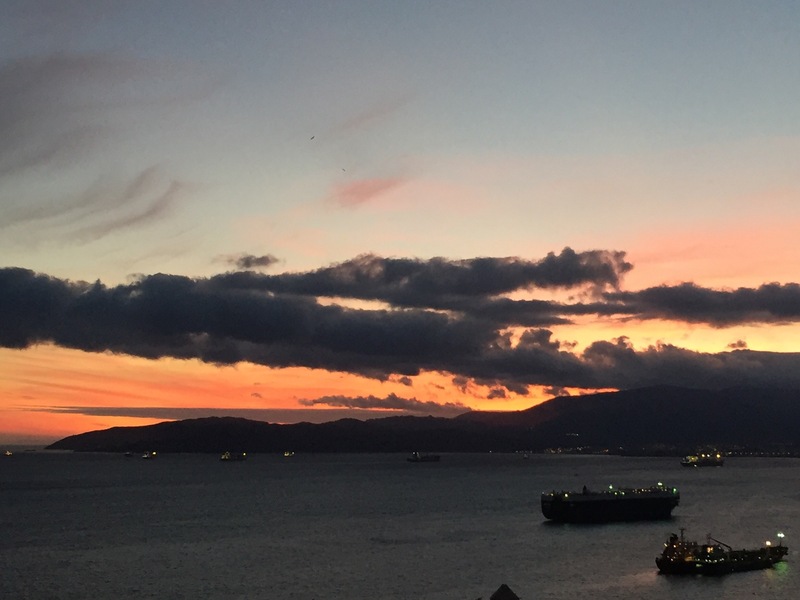 This is the lovely sunset we saw on Monday night. Monday didn’t quite pan out as I expected as I got a call from school at 10 am to go and collect a Little Postcard from school who had suddenly fallen ill. I’m pleased to report that he is completely recovered now and he only missed two days of school. It did mean that no sewing got done this week though. We’ve had a bit of a week as far as the Postcard Bunnies are concerned (four visits to the vet in total for me!). This little chap had to have an op. I won’t go into details but as we have a boy and a girl rabbit and we don’t want to be over run with rabbit babies, Diamond needed a ‘procedure’. He is normally a tad crazy and bounces from one side of his cage to the other when you walk in the room. After his trip to the vet, he was a sorry little soul and didn’t move much for two days. I’m pleased to say that he has recovered well and is due for a post op check next week. He is eating voraciously and is bouncing again. He’s back to his crazy self. Wednesday brought us some gorgeous blue skies. I had a trip into town and took this lovely photo from the ICC multi story car park. You can just make out Morocco in the distance peaking out above the buildings in the distance. On Thursday morning I felt like I’d got a bit of normality back and headed off up the Med Steps before going to my watercolour class. It was so tranquil up there. 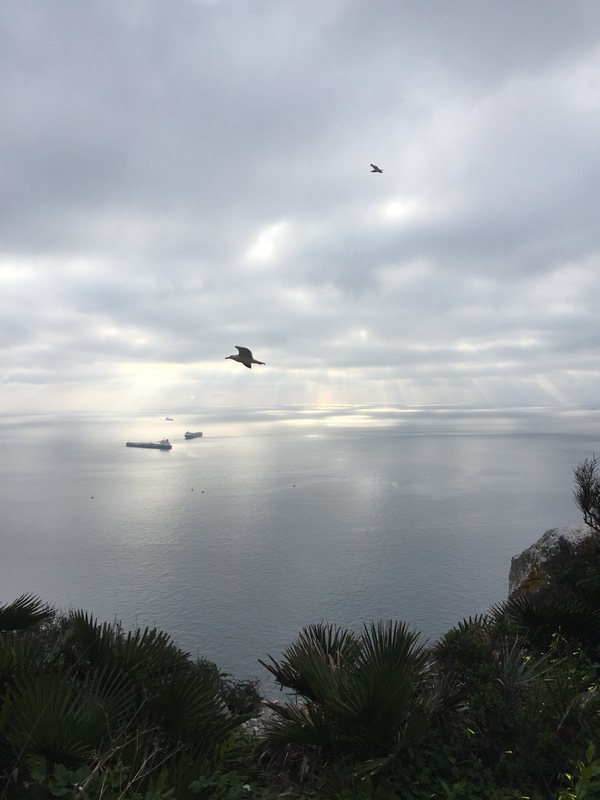 It was very cloudy but the shafts of sunlight on the sea looked magical. 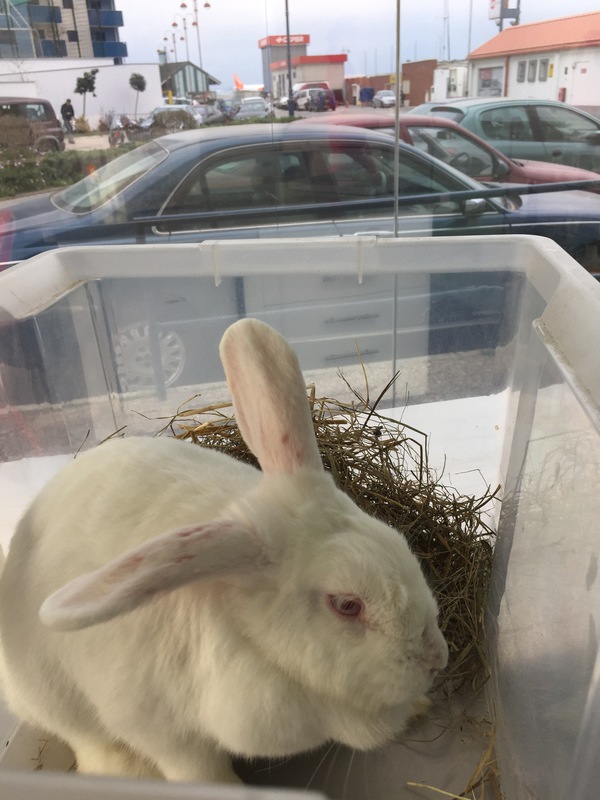 So, since last weekend our other bunny, Snowflake who we rescued from the Alameda Gardens, has been a bit off. 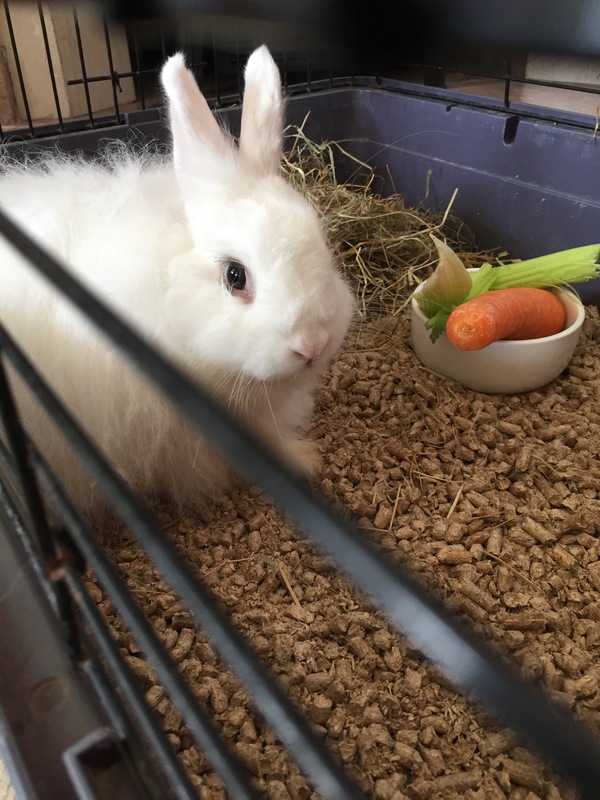 She hasn’t been eating her food – in fact I had to empty her bowl at the end of the day on Wednesday because she had barely touched her carrots and kale. I finally decided to take her to the vet on Thursday. It turned out after an x-ray that she had an intestinal blockage caused by eating her winter fur coat. As we are heading into spring, she is losing some of her fur and like cats, rabbits lick themselves to make themselves presentable. Unlike cats, rabbits don’t bring up fur balls, and this one is having trouble passing said fur the only other way. She is currently having four different medicines at different times of the day and is being fed a syringe of baby food every two hours. Honestly I thought it was hard looking after sick children….Anyway I am pleased to say that we have had results, the treatment is working! This photo was of her at the vet on Friday. You might notice the missing patches of fur on her ears and nose. That’s from the mange she must have had when she first came to us – that’s all cleared up and her fur is slowly growing back. Check out the EasyJet tail fin going past in the background. There can’t be too many vet consulting rooms in the world with a runway at the end of the road!! I had a real treat yesterday morning. I had to collect two parcels from the Post Office on Friday but was too busy to open them. I knew what was inside and wanted to take my time and enjoy opening them. It was like Christmas morning unwrapping this gorgeous bundle of fabric and my February subscription to the Little Box of Crochet. 🙂 It was a grim old day weatherise yesterday, so it was a real highlight to have these before heading out in the wind and rain! Thanks so much for stopping by! 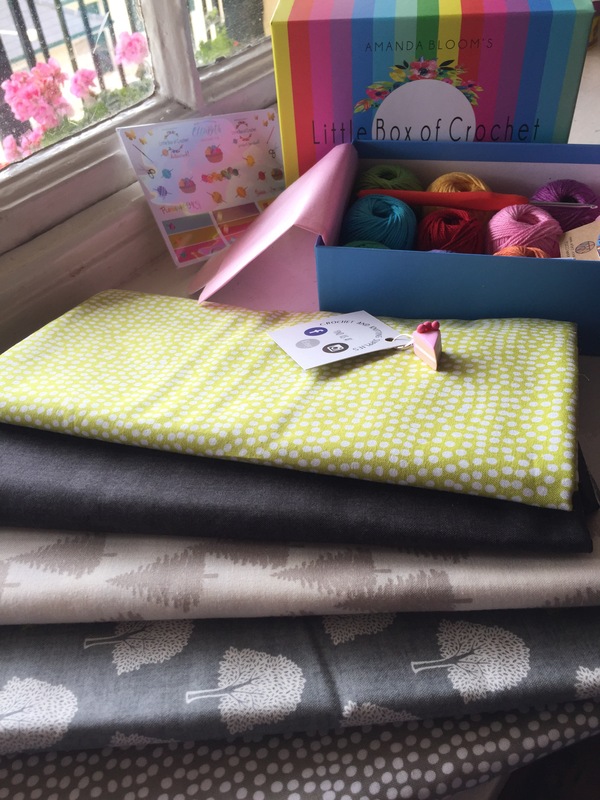 Sunday Sevens is a weekly blog series created by Natalie from Threads & Bobbins. Hugs for the postcard bunnies! Love the flamingo! 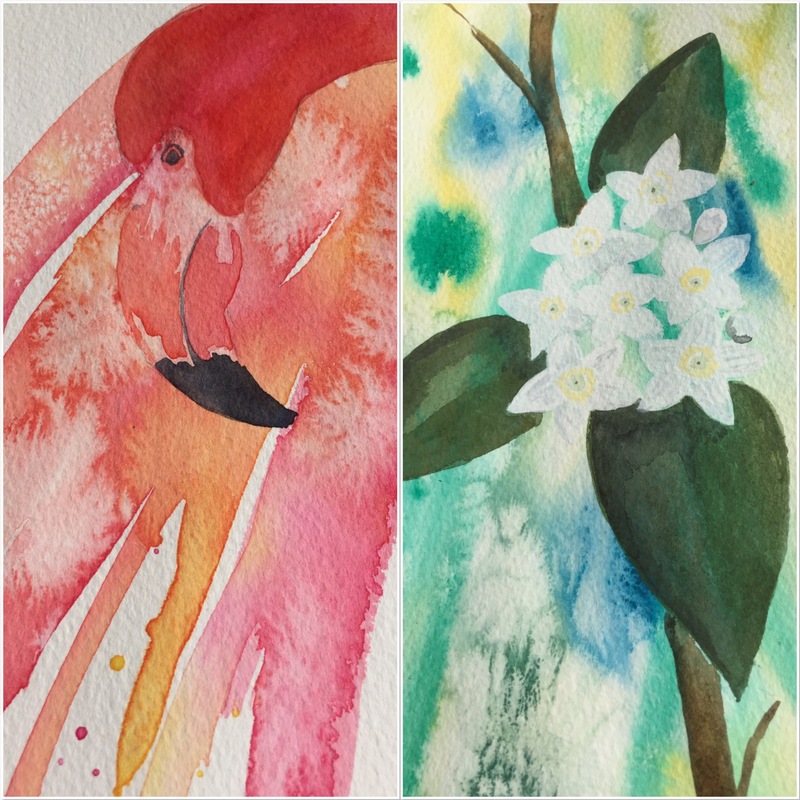 The painting challenge on bbc1 last week featured flamingos and yours beats those hands down. Oh how lovely your beautiful crochet parcel I’m envious! Glad to read everyone is on the mend again. Blue skies I’d forgotten what they look like!! Isn’t that midtown development awful? 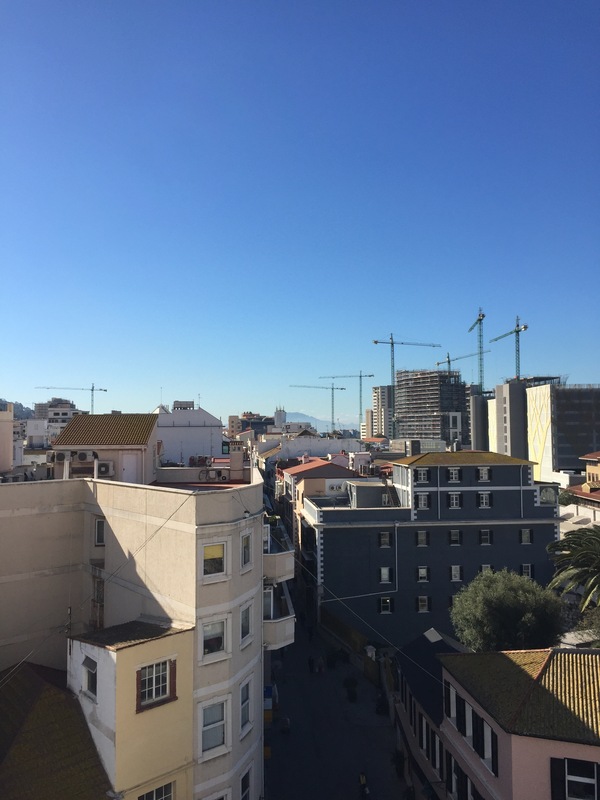 Gib governments (of either party) have no sense of town planning and heritage preservation. Love to the bunnies. And gorgeous citrus flowers. Mine is refusing to flower after having a drought and being well pruned back. Yes I have to agree, it really spoils the look of the place. Surely we don’t need any more offices, bars and posh apartments… our citrus went on a bit of a strike last year, they flowered but they never fruited. Hoping for better luck this time!